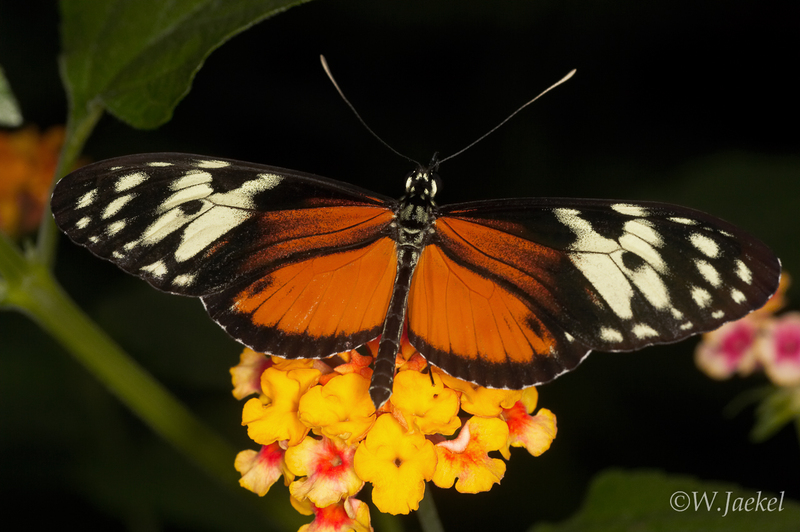 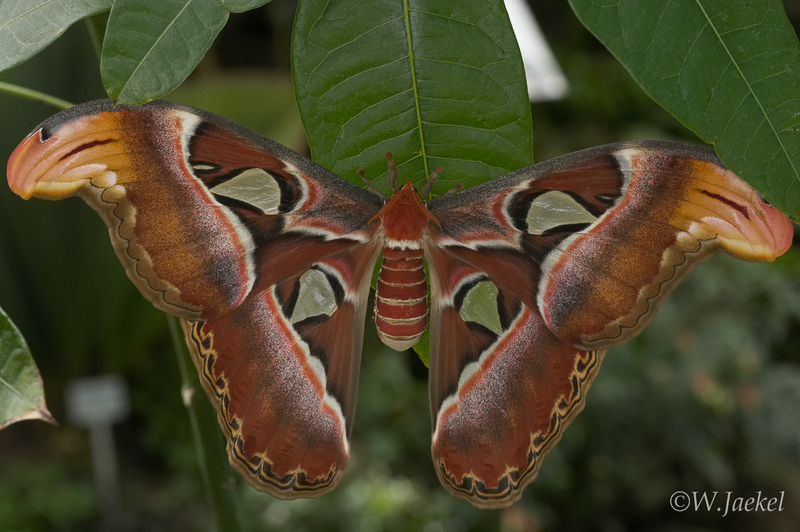 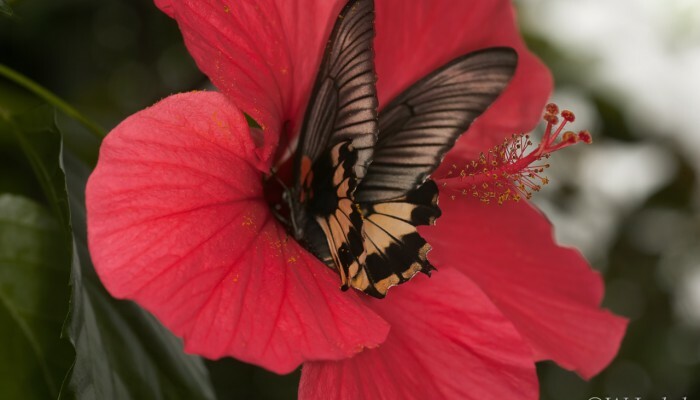 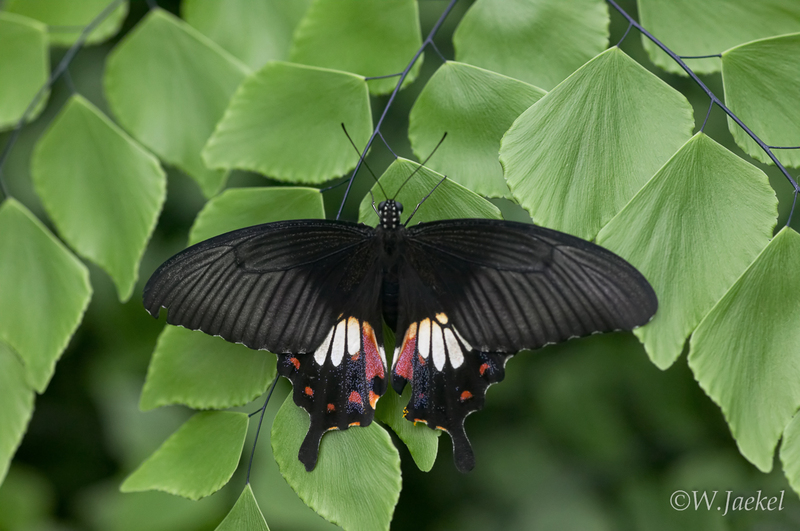 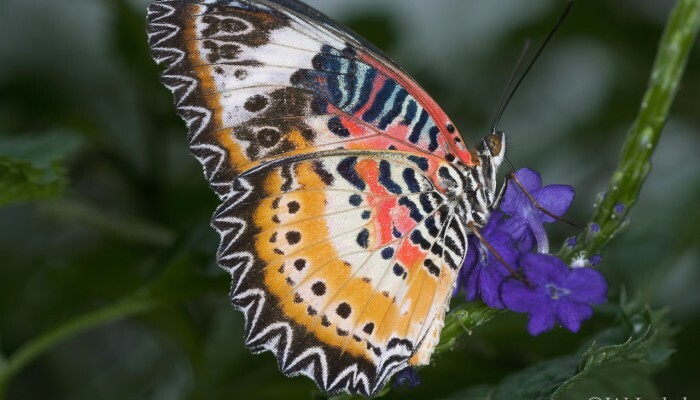 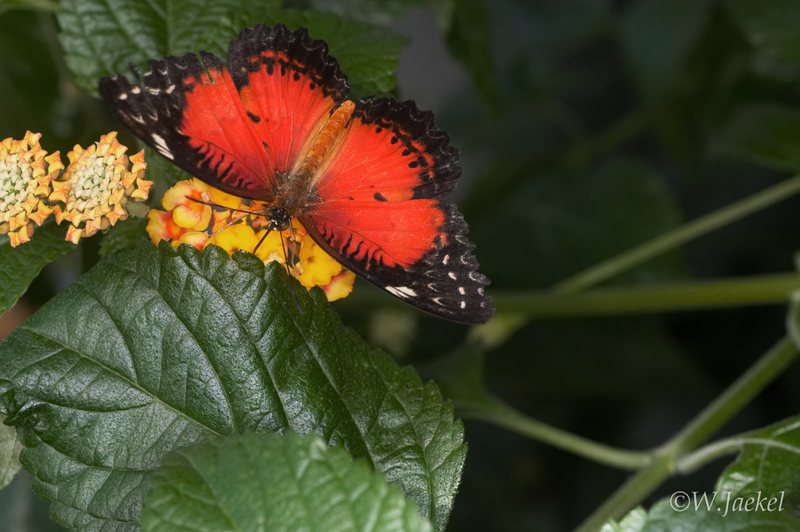 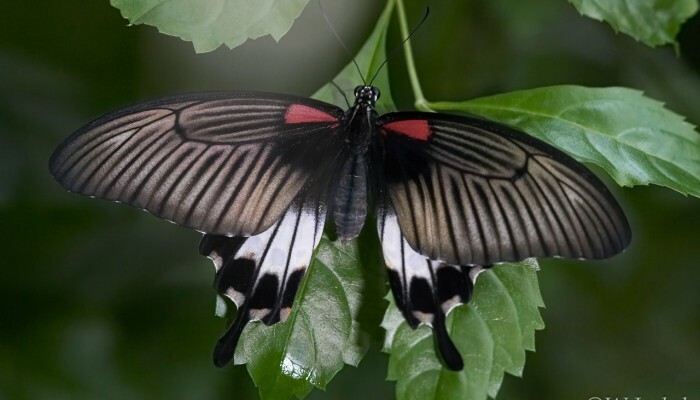 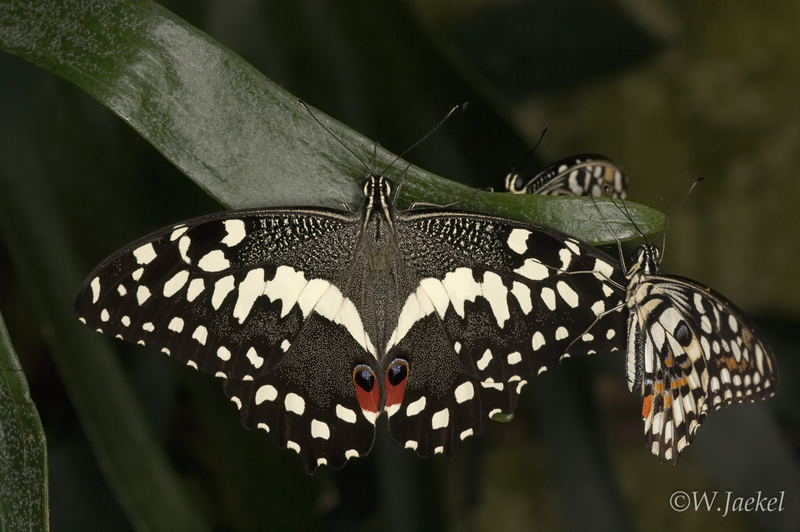 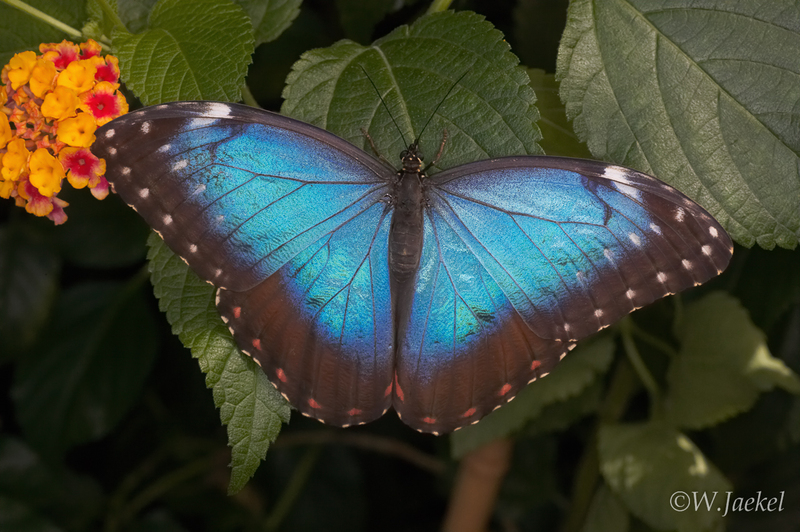 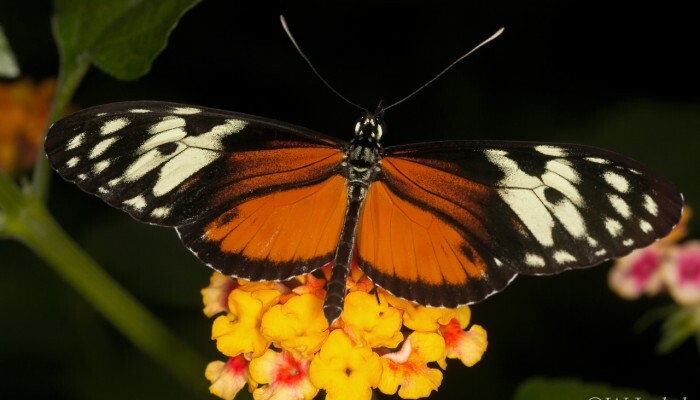 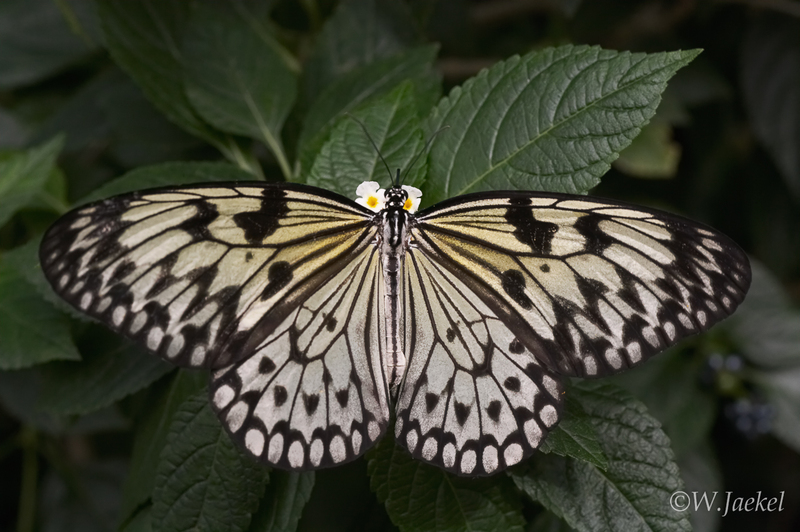 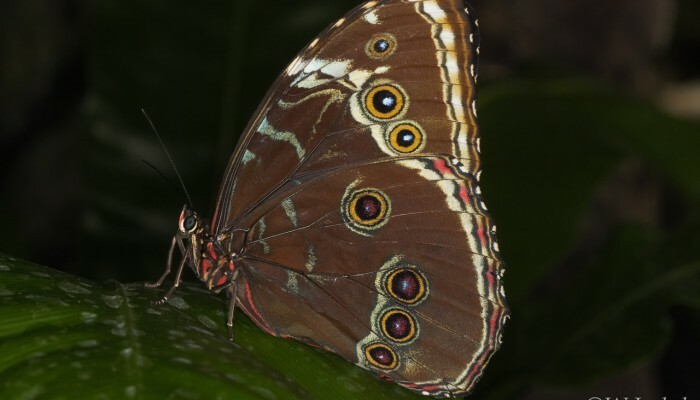 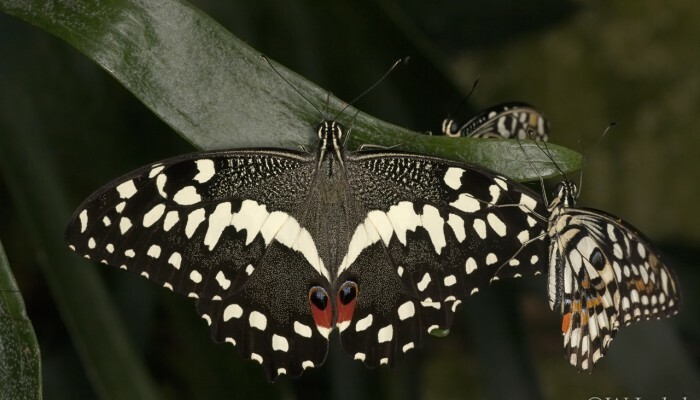 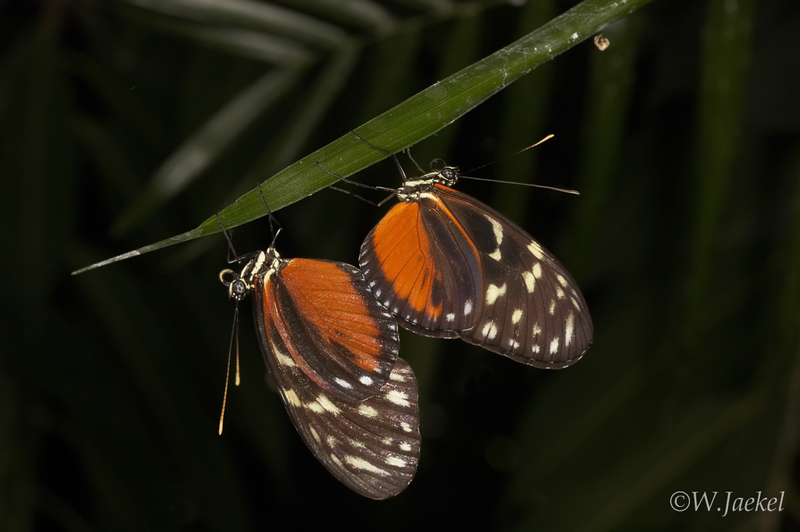 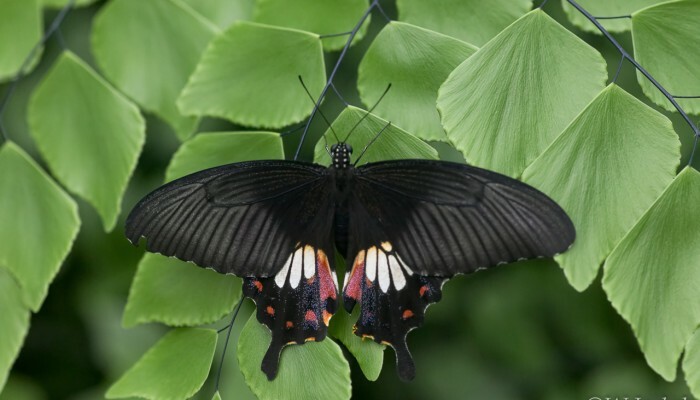 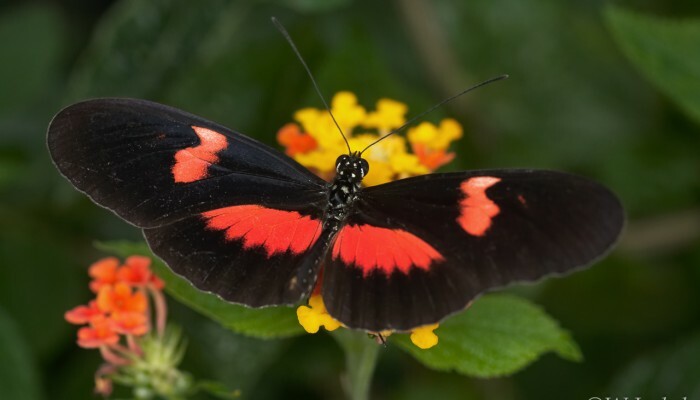 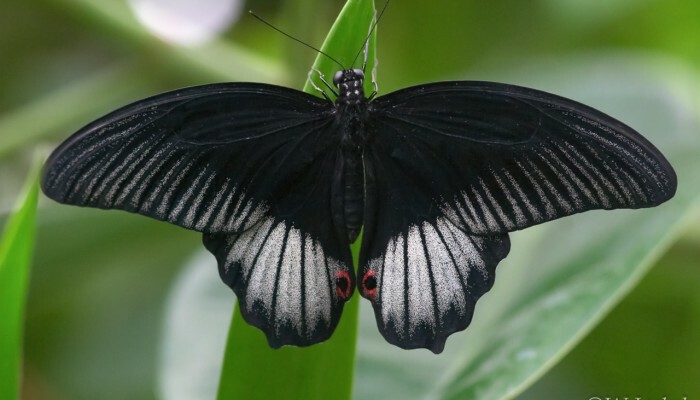 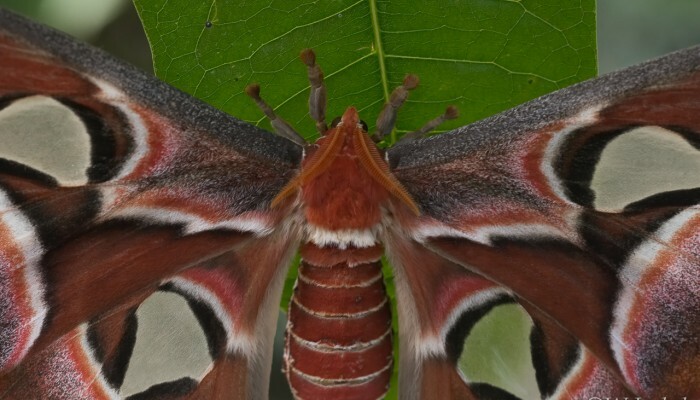 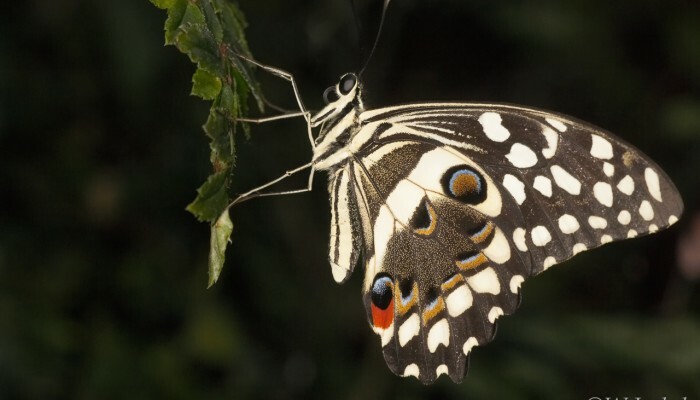 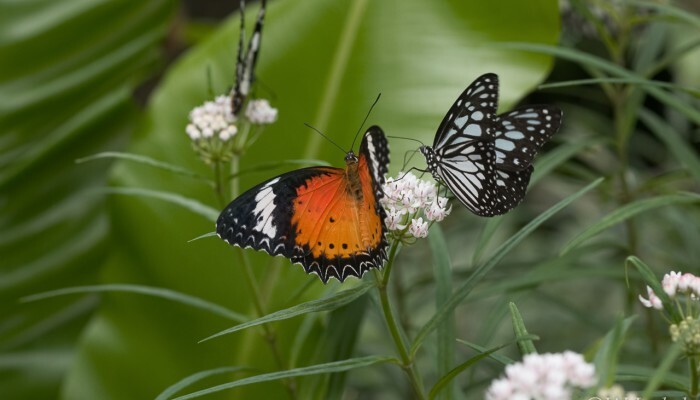 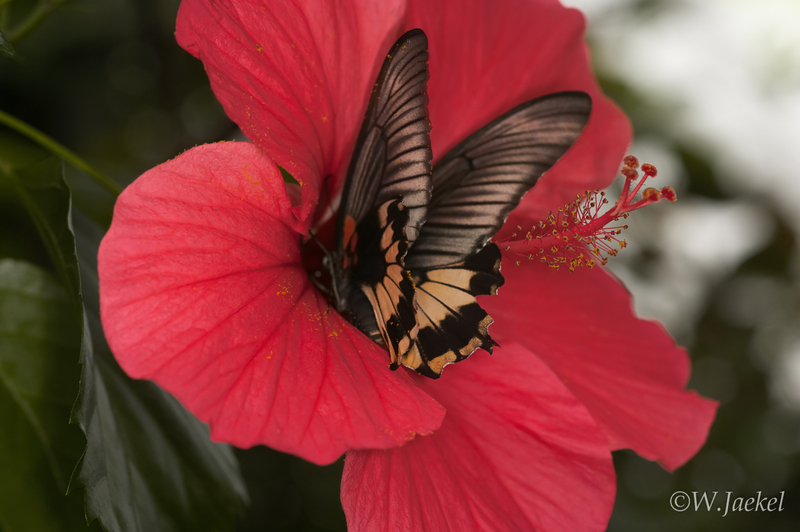 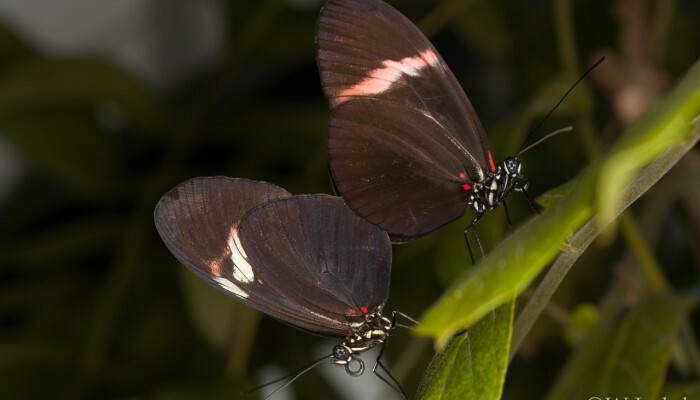 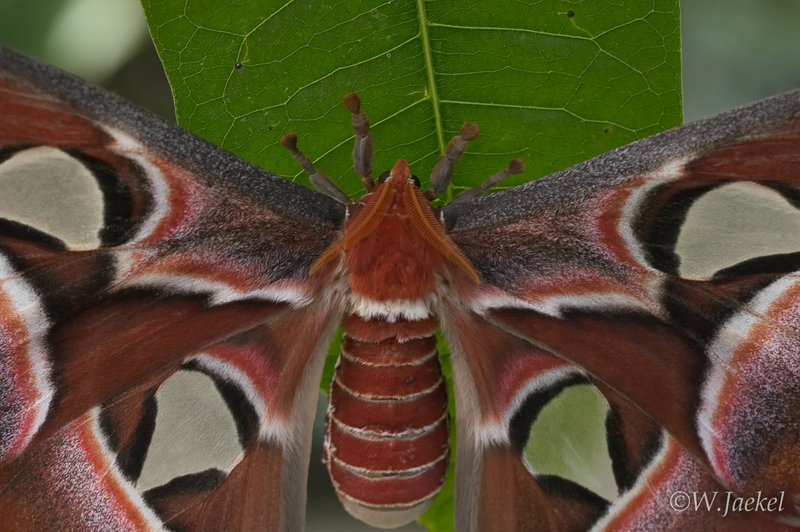 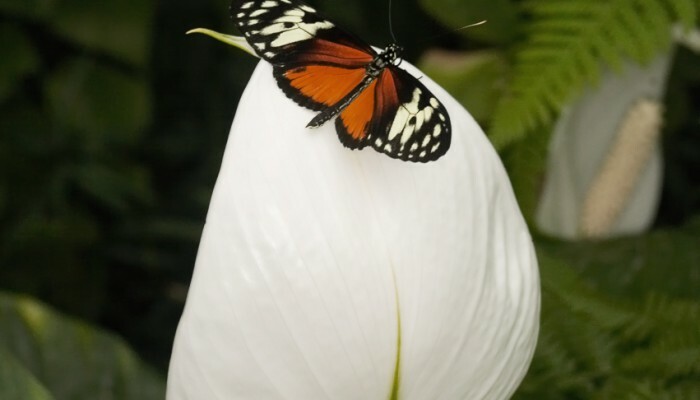 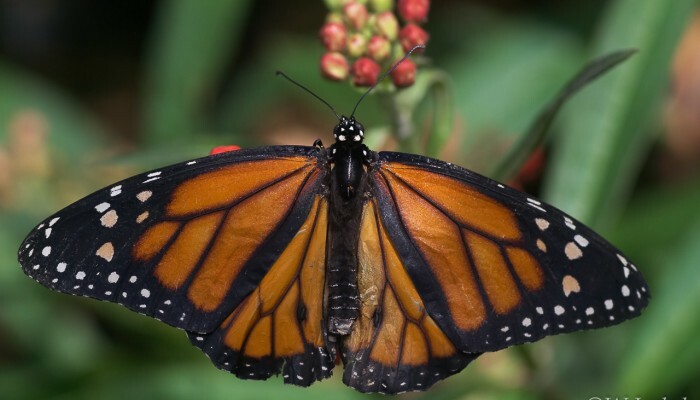 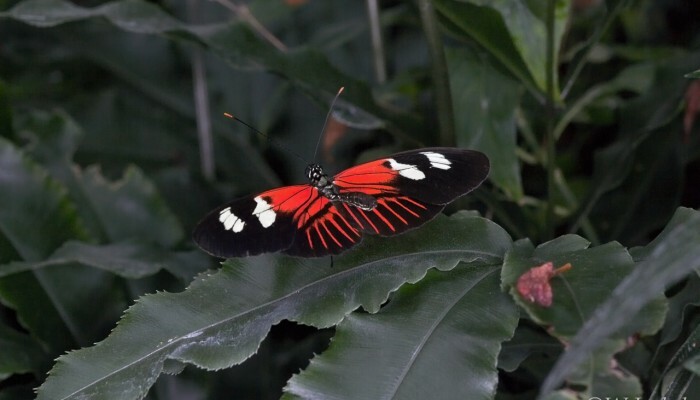 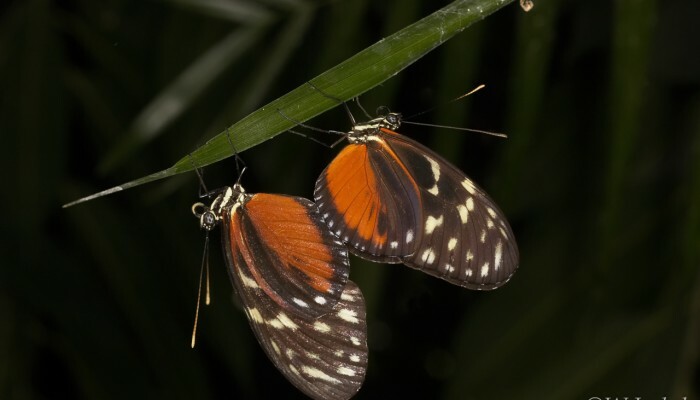 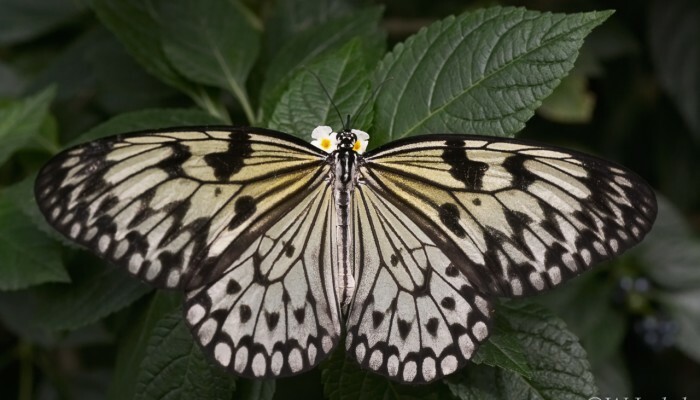 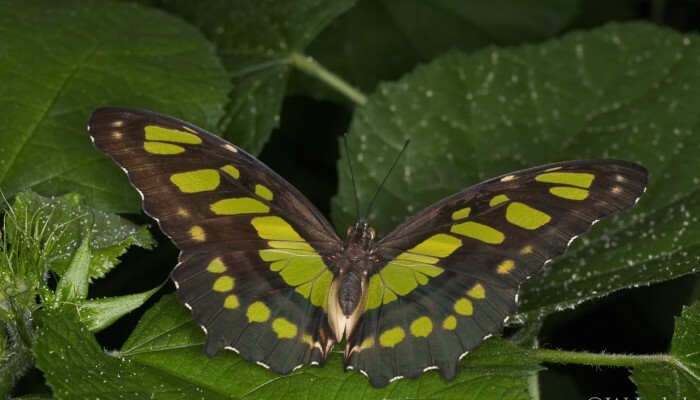 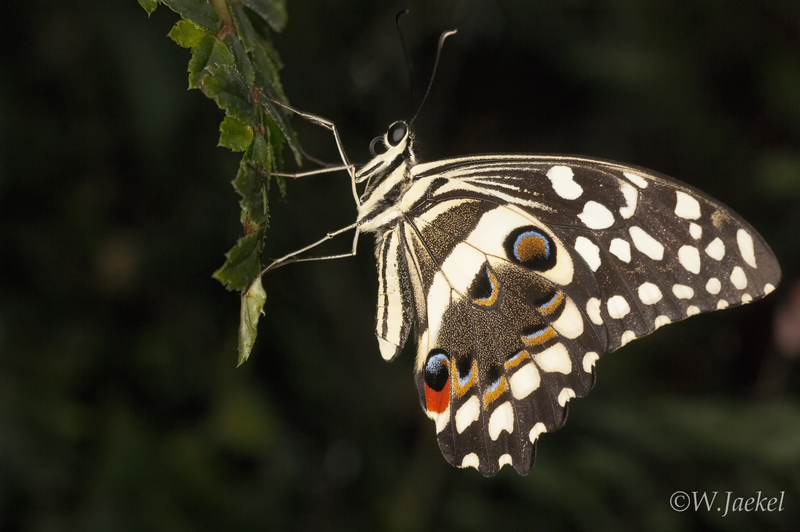 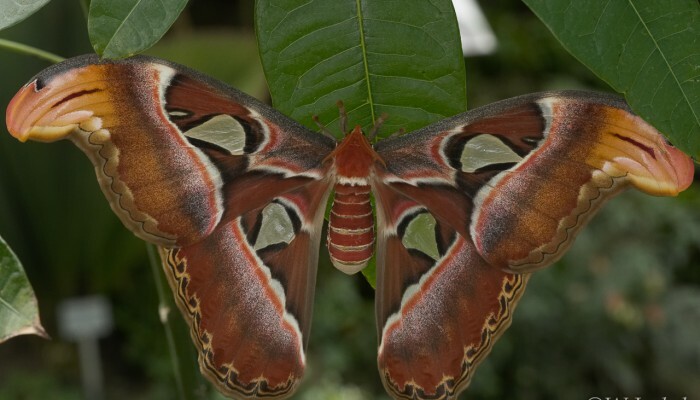 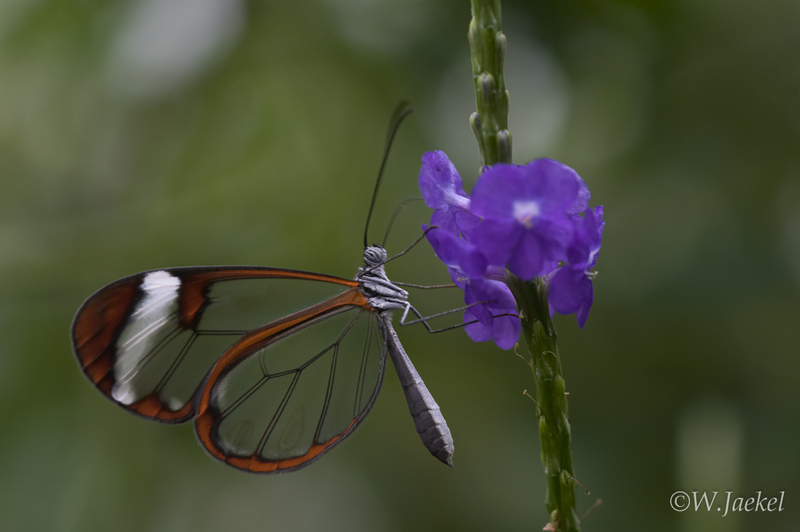 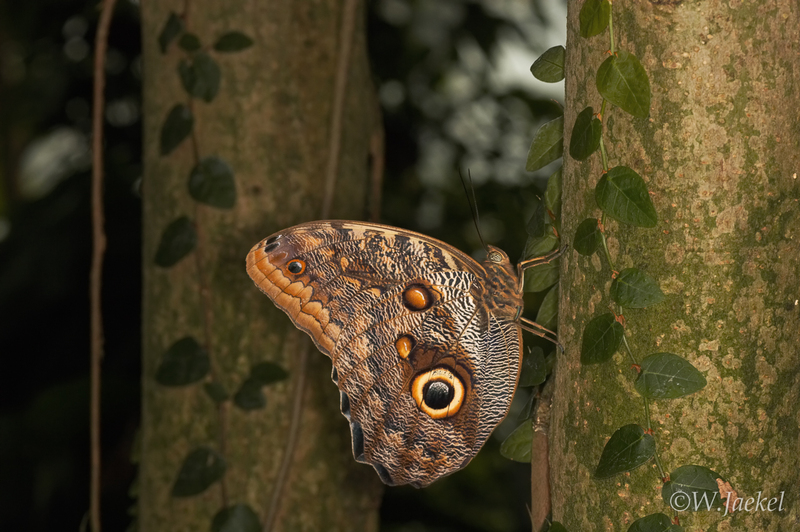 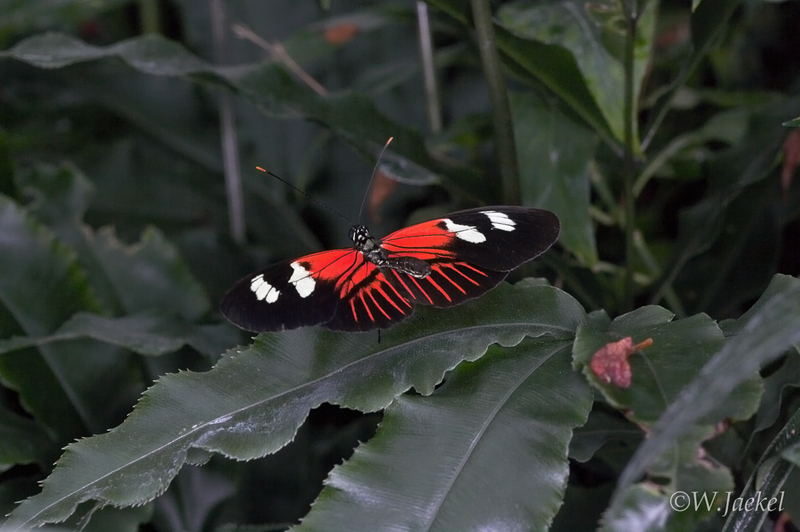 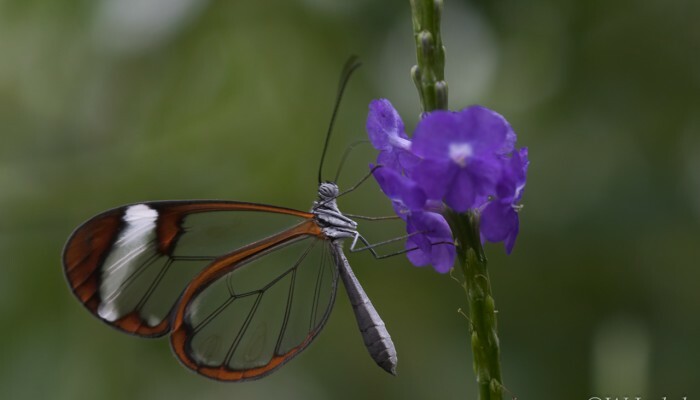 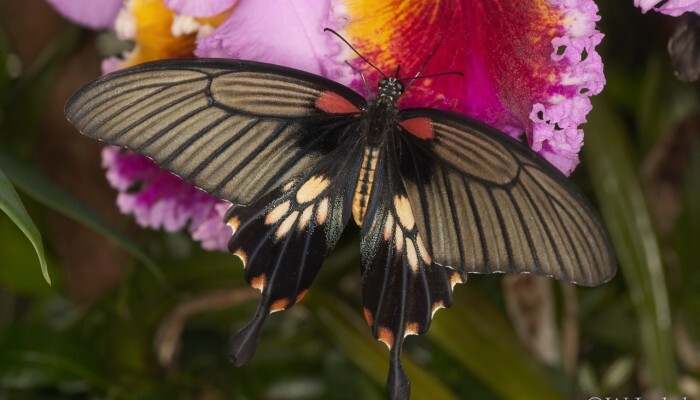 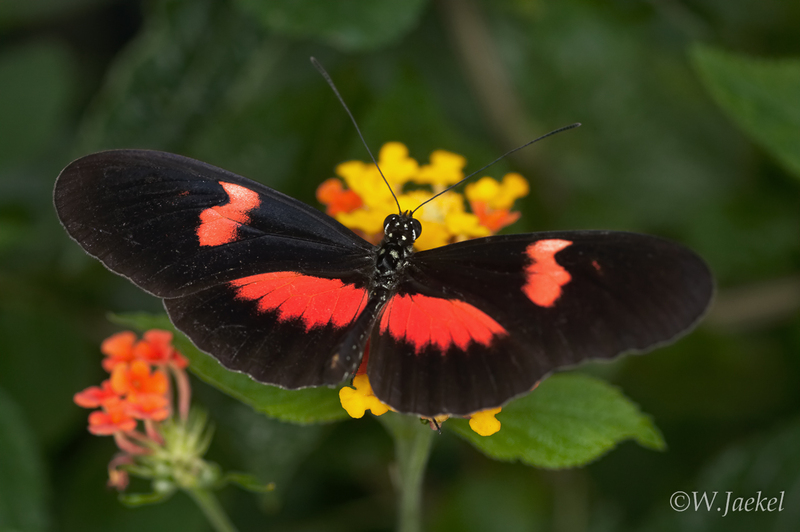 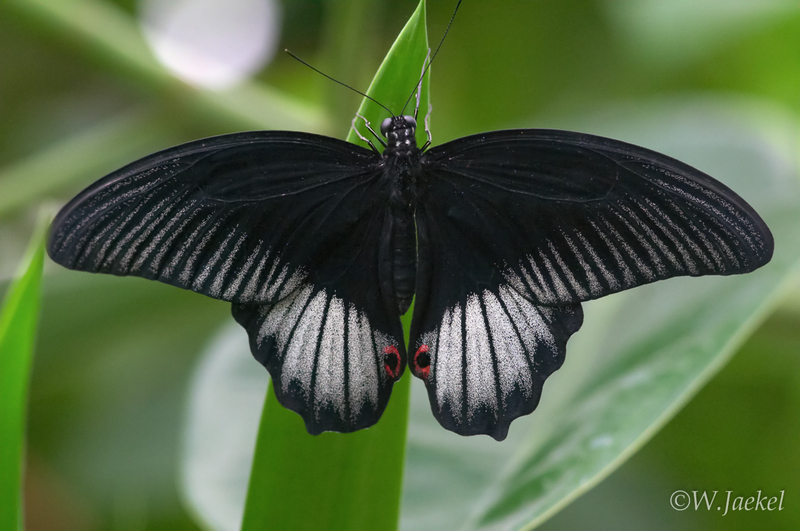 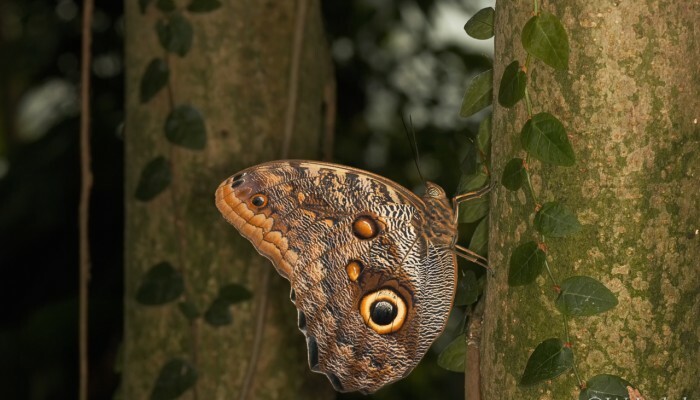 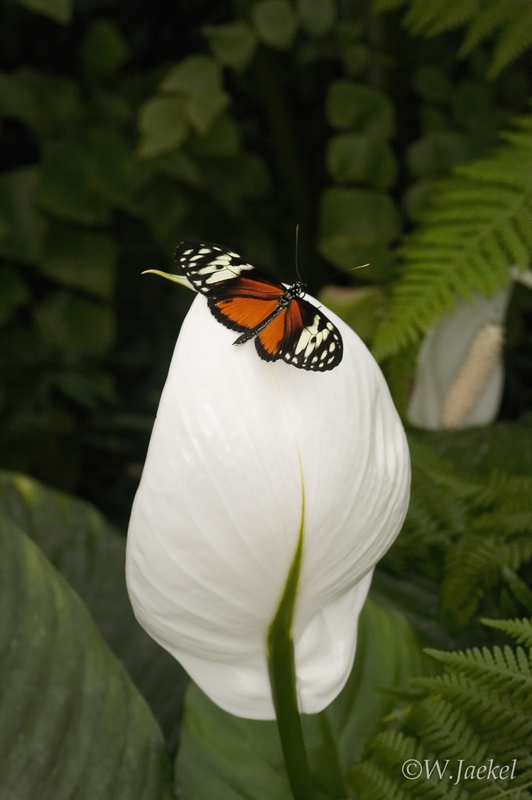 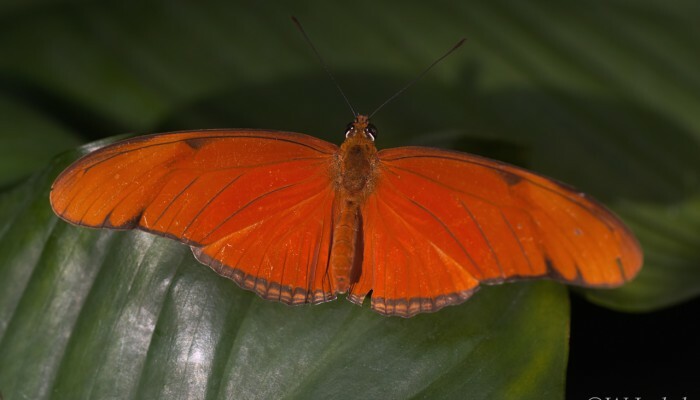 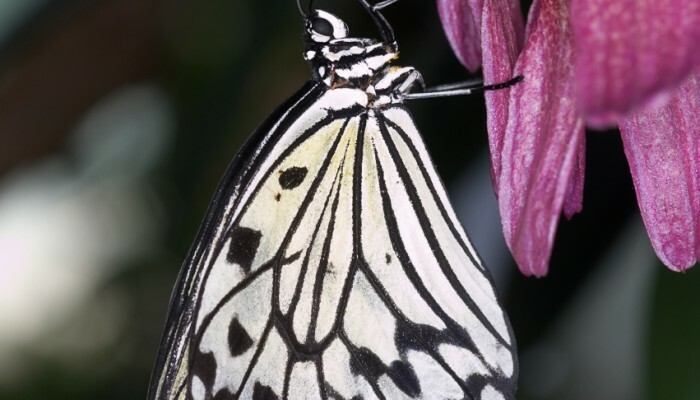 On the Isle of Mainau in Lake Constance you can visit Germany’s biggest butterfly house which is opened all year round and is a real highlight of the region. 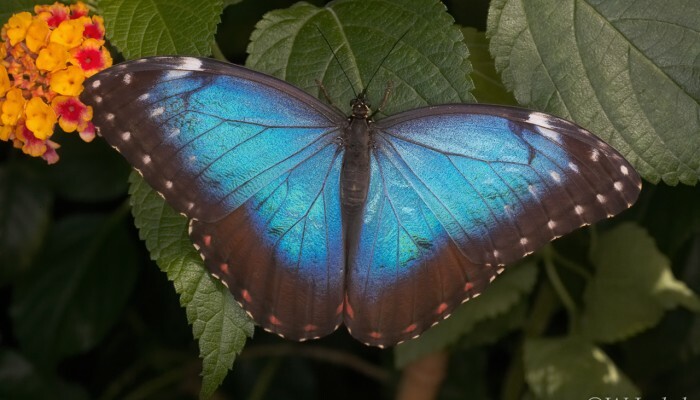 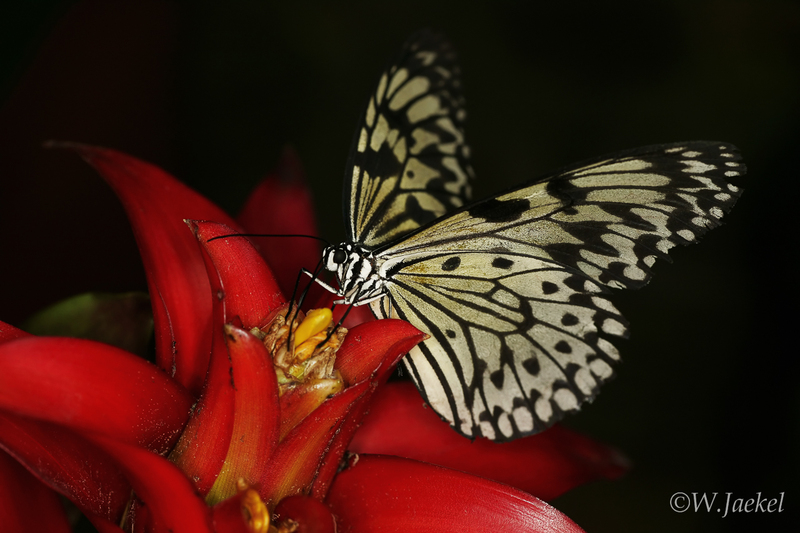 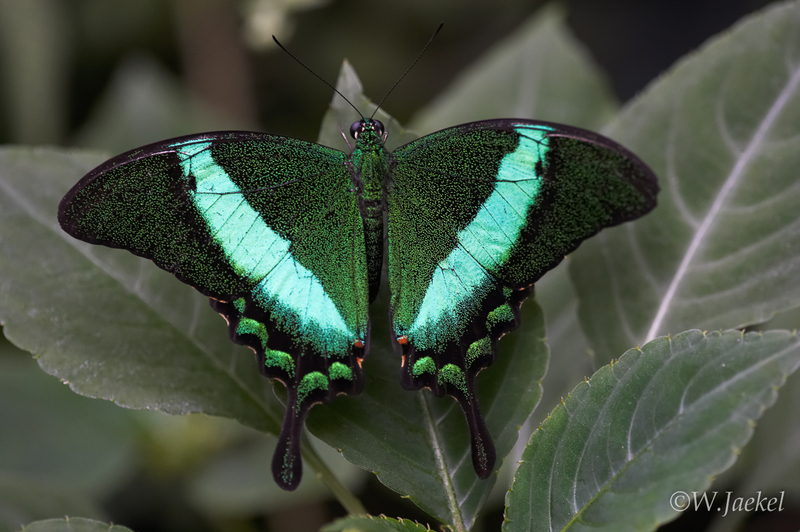 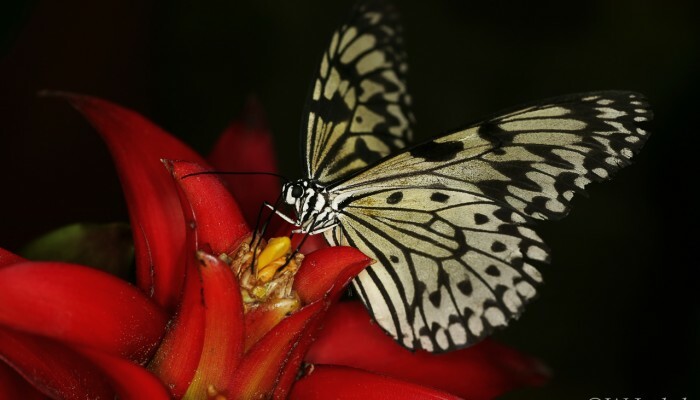 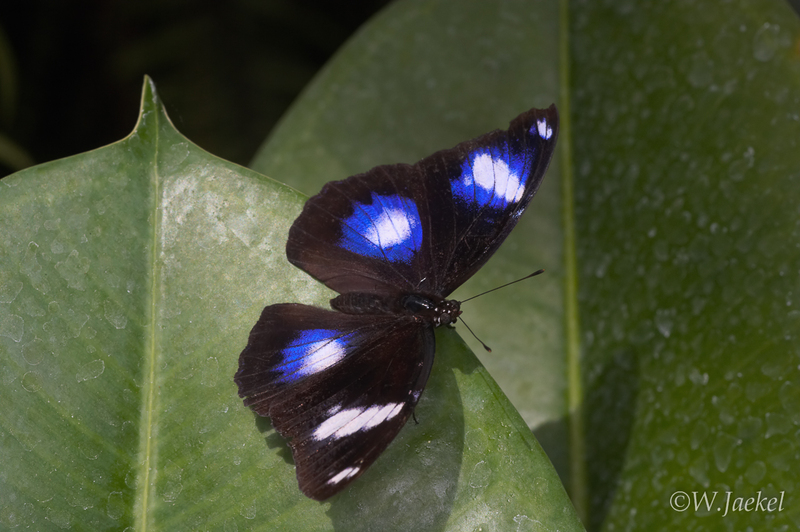 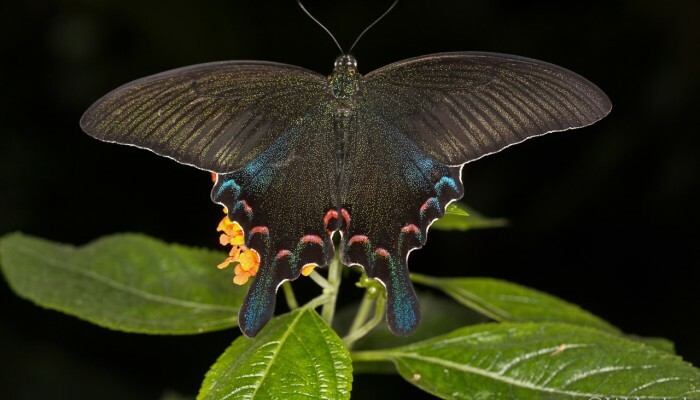 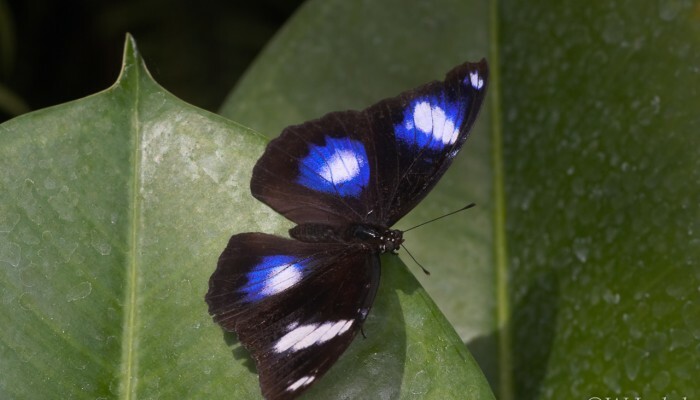 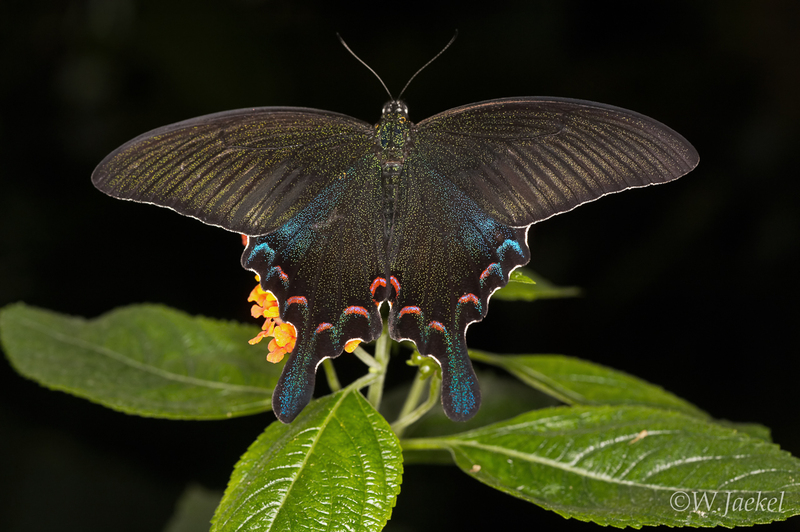 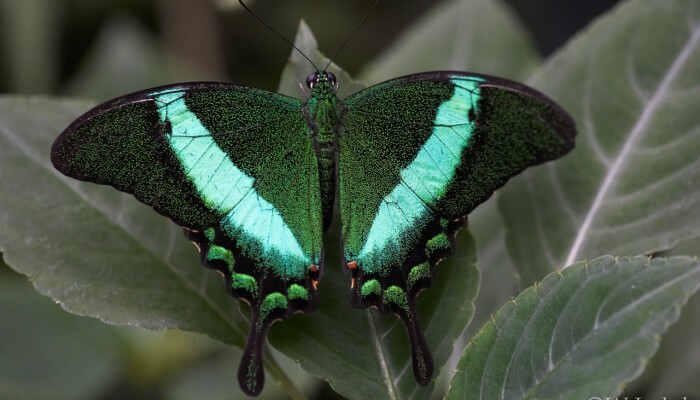 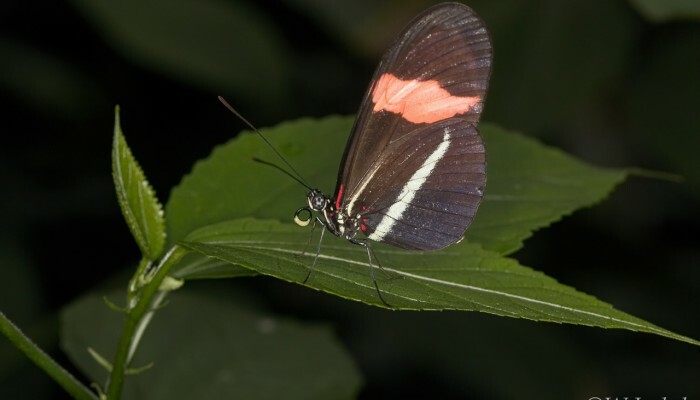 There are more than 25 exotic varieties of butterflies from 3 continents (Asia, South America and Africa) which roam freely in a natural environment between tropical plants, completed with a waterfall, bridges and small lagoons. 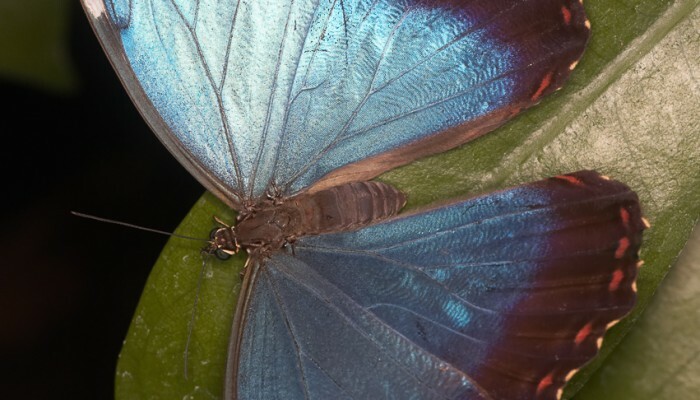 With some luck you can watch them emerge from their cocoons. 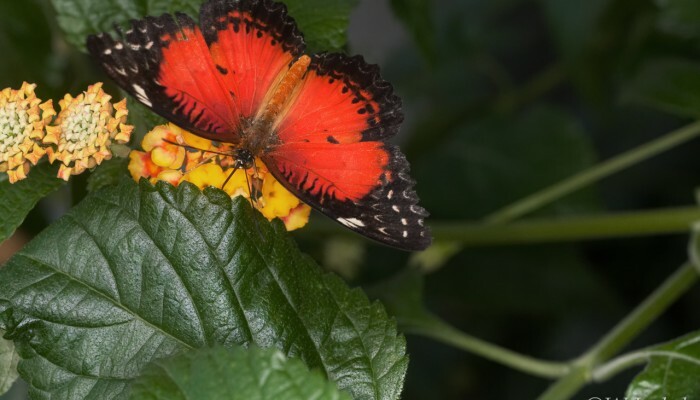 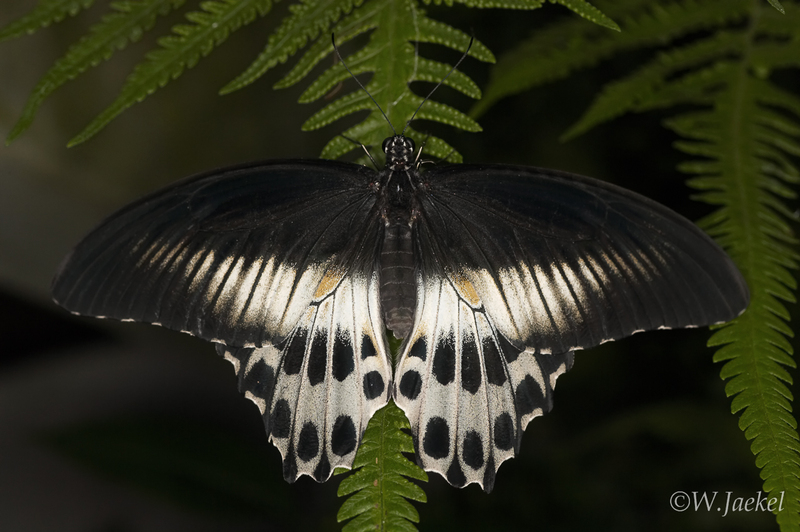 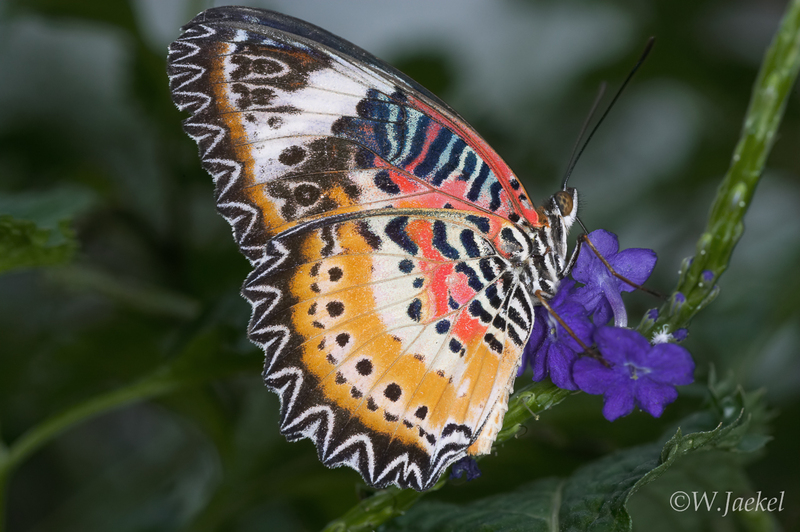 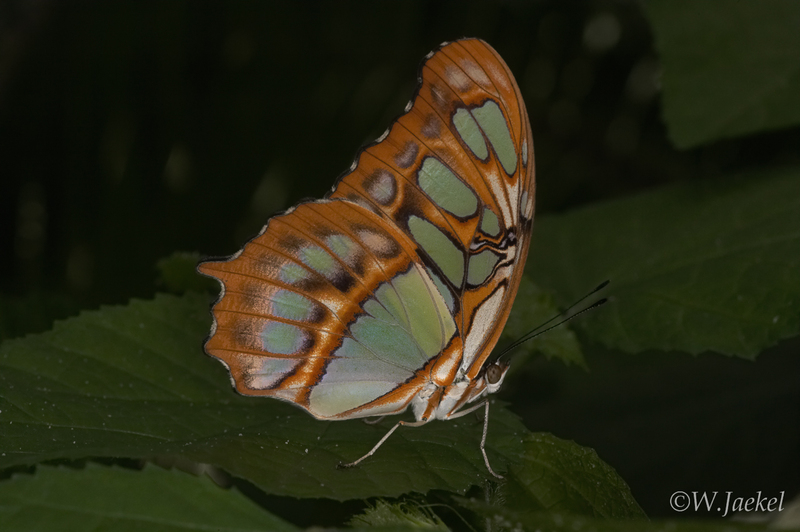 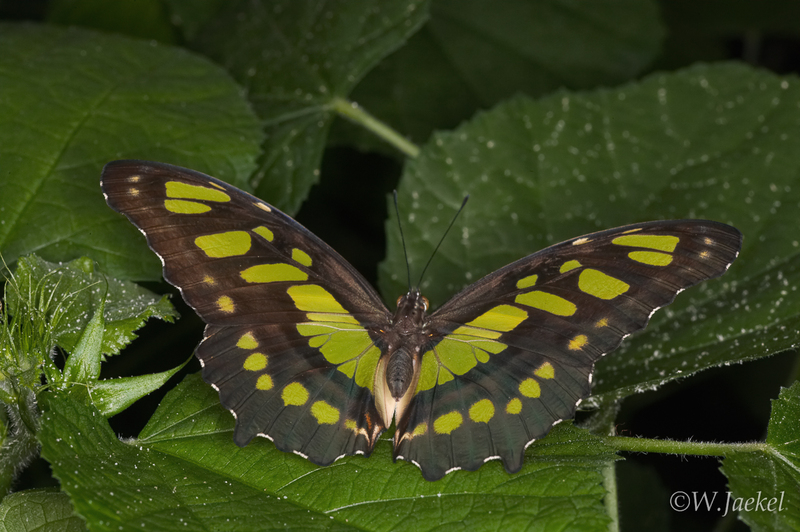 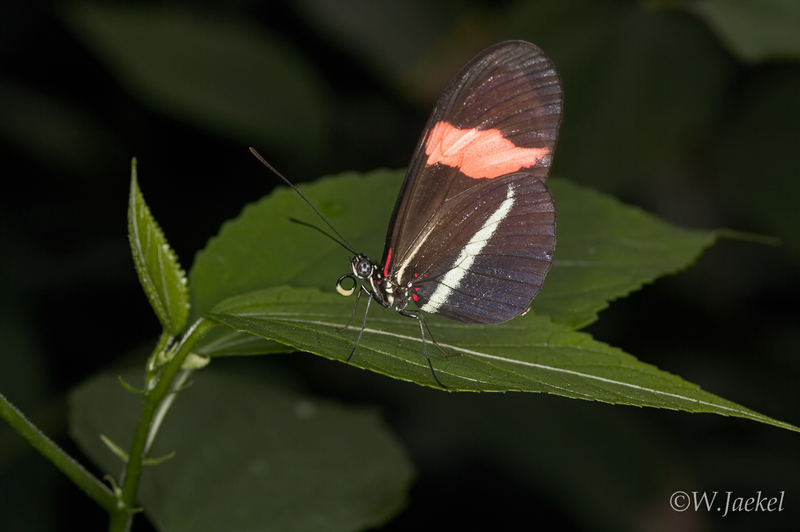 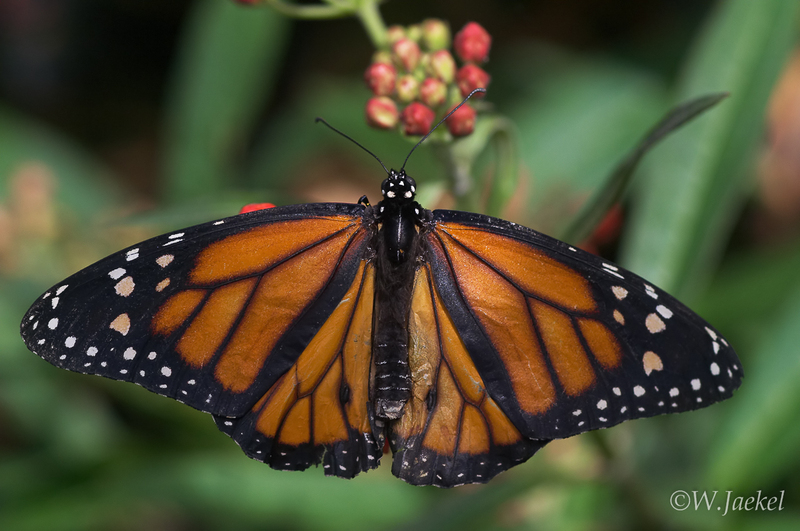 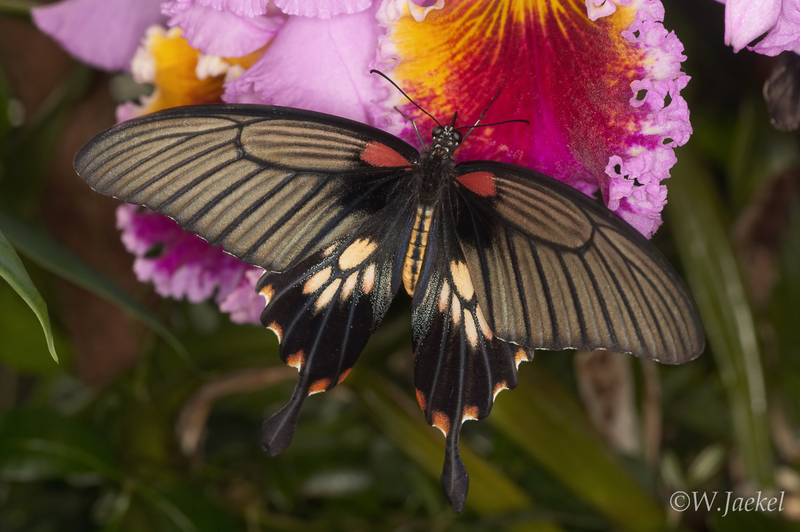 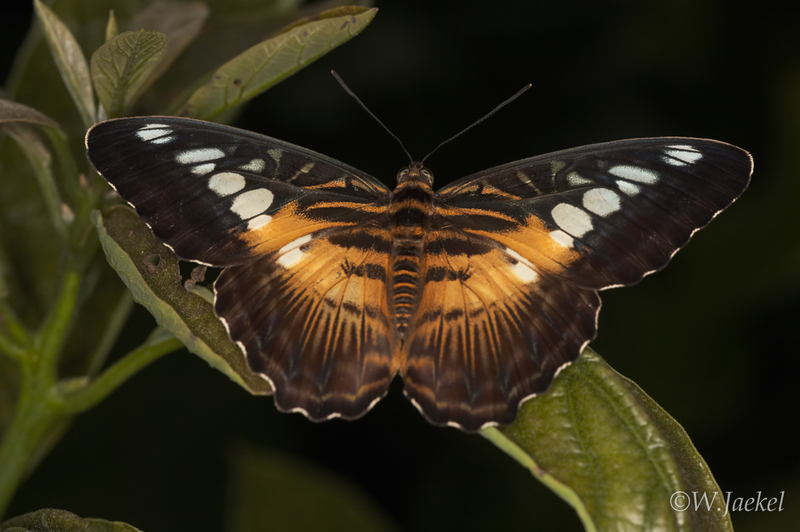 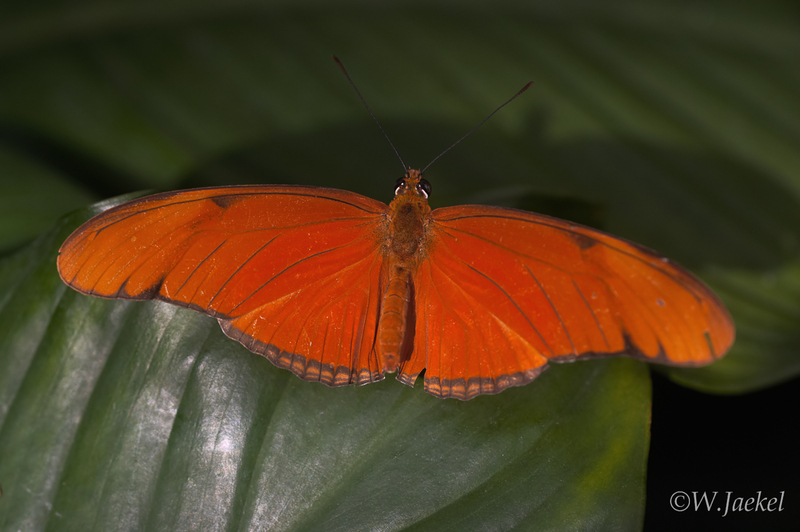 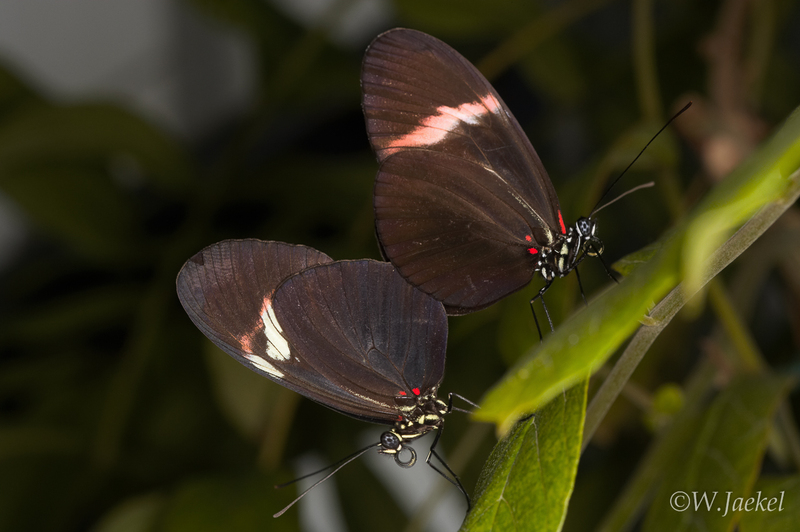 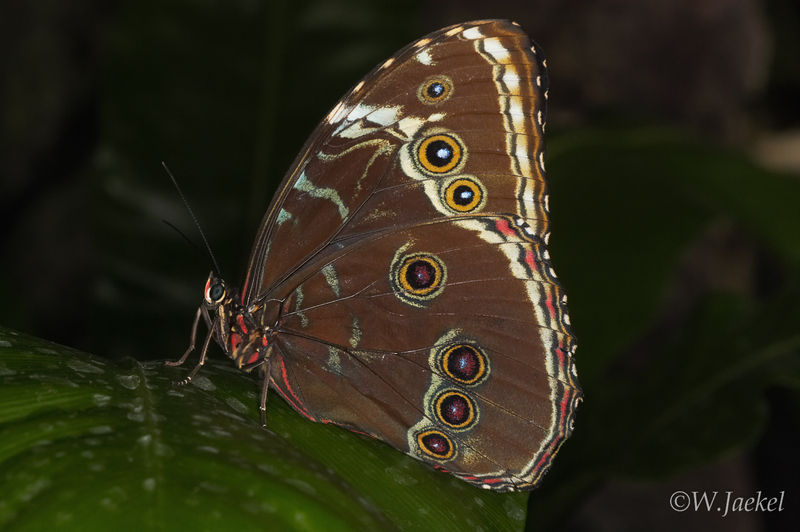 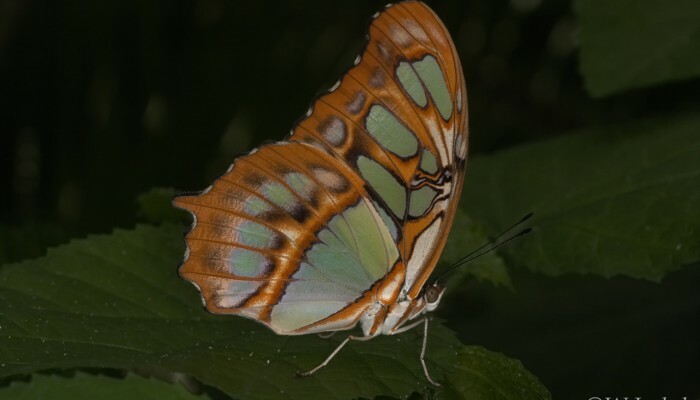 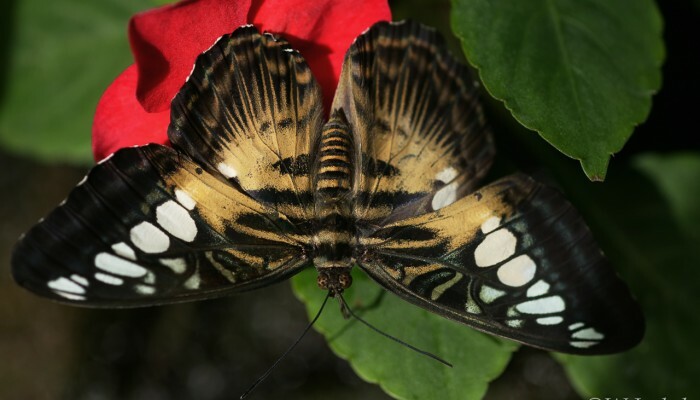 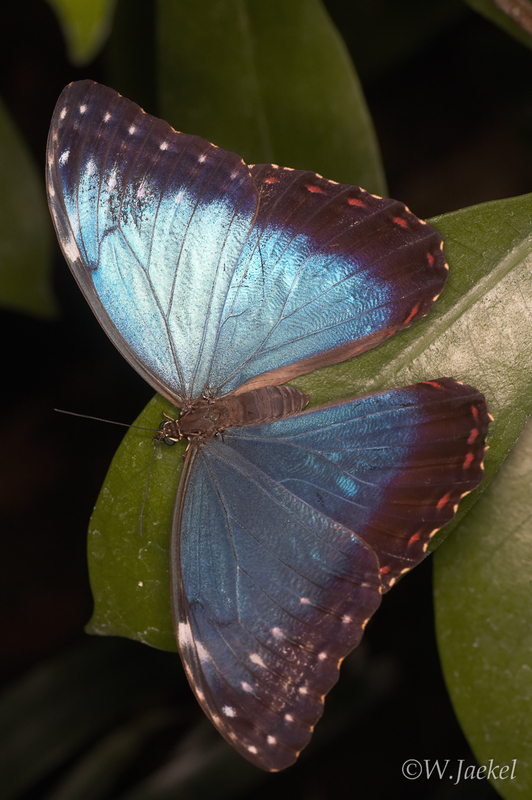 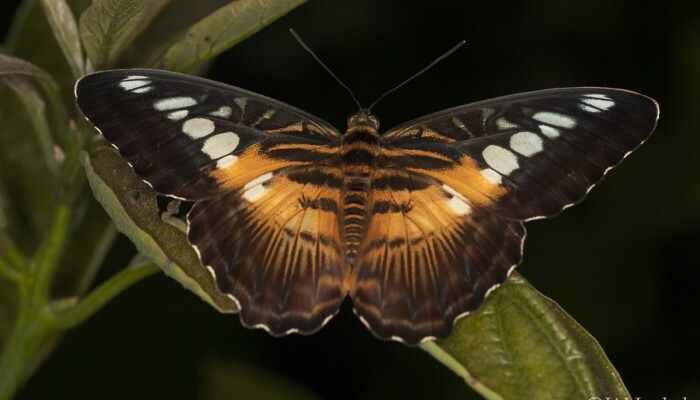 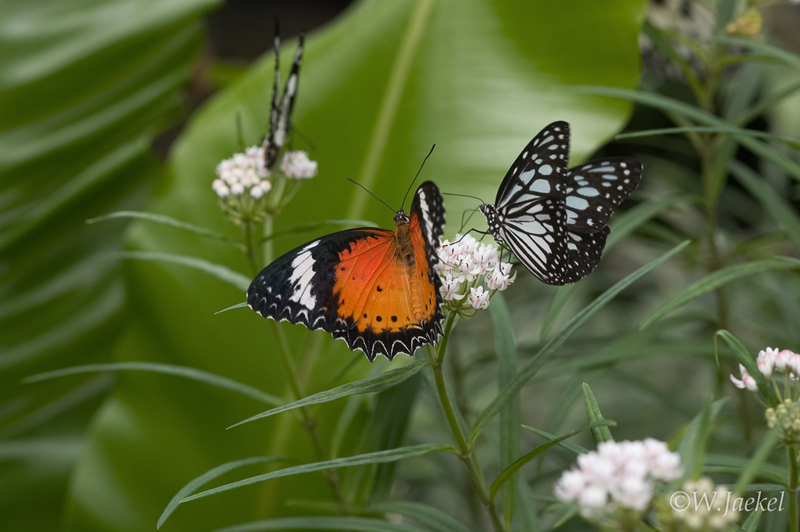 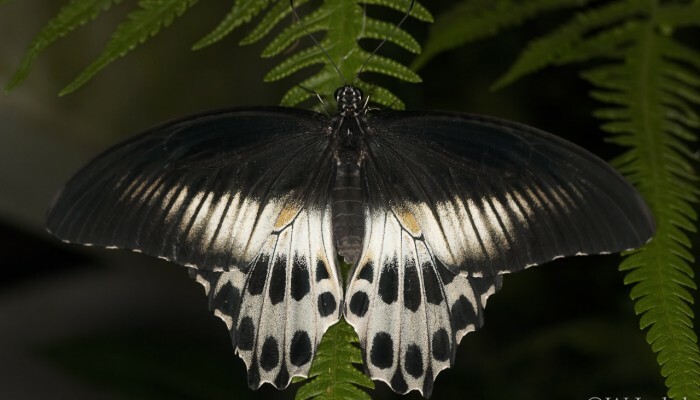 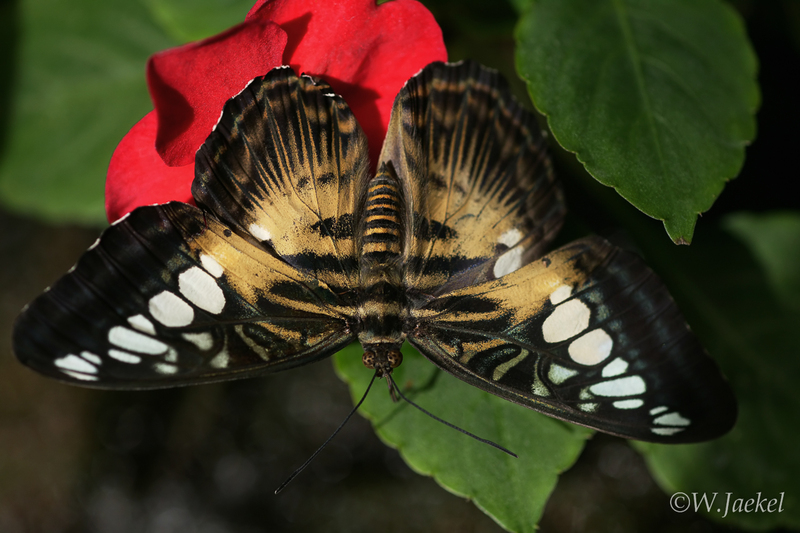 I visited the butterfly house which was established in 1996 several times between 2004 and 2006 in order to take pictures of these colorful insects. 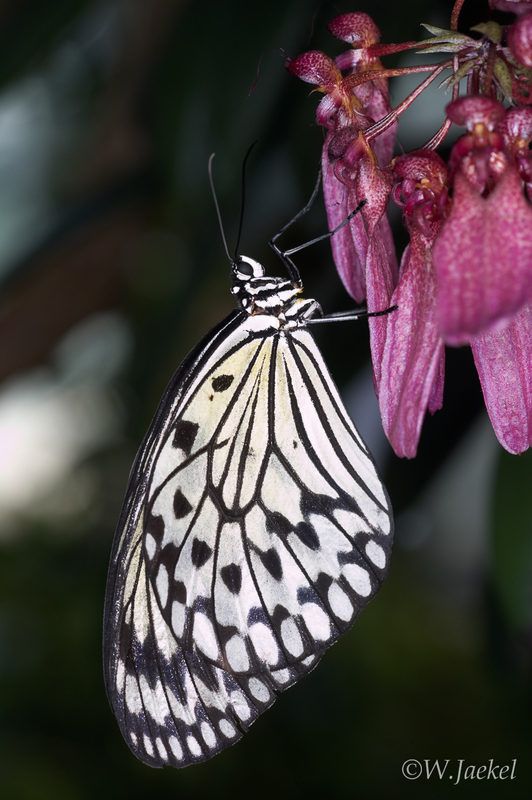 The photos of this gallery were mainly taken with the f2.8/100mm Macro lens using the Macrolite MR 14-EX flash on Canon 1Ds, 1DsMarkII and 10D cameras.